Combat oily complexions with the Sunday Riley Martian Mattifying Melting Water-Gel Toner, a lightweight cleansing fluid that evens out the skin and reveals a clearer, healthier visage. Transforming into a gentle liquid upon application, the gel toner uses the ultra-nourishing and antibacterial properties of Cucumber, Witch Hazel and Marshmallow to diminish excess oil in order to prevent clogged pores, blemishes and shininess. The soothing formula calms redness and irritation and tightens the skin to create a balanced, brighter complexion with a matte finish that forms the perfect makeup base. Suitable for oily and blemish-prone skin. 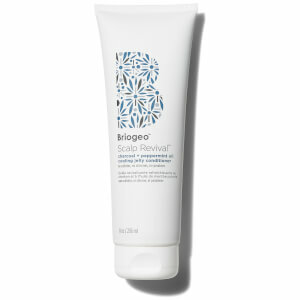 After cleansing, apply as needed to dry skin using fingers or a cotton pad. Massage Martian gently into the skin and watch as the formula transforms from a treatment gel to a water toner. Can be used morning or night.